and it has tips for how to carry out all that. and it tars those who do not buy its mysticism as ’The Sleepers’. 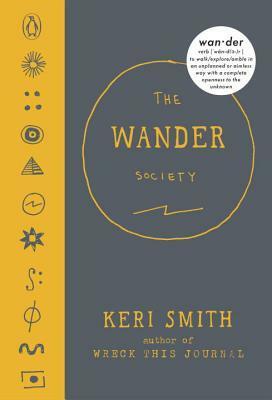 While the fiction of The Wander Society is delightful, and the initial impetus for wandering away from and into the everyday, with attention to the close at hand and the “inner wilderness” is wonderful, contradictions, imperatives and an uncomfortable monocularity creep in. “Our fears” are more than “just thoughts”. The rural is idealised while the good, detailed tactics here are mostly urban. The world does not necessarily benefit when we “take care of ourselves and our own needs”. The walking here is predominantly literary (Daphne du Maurier’s ‘Rebecca’ as a map of England? ); while the magic of the free wander palls as one begins to realise that the ‘Wander Society’ fiction (with online newsletters, etc.) is a marketing ploy for the book itself. The wander trips up, exposing that – for all the fine ideas and tips – there is an unacknowledged commercial impulse here, despite the whole thing being predicated on its opposition to the “consumerist system”. The similarities with Mythogeography (2010) are rather striking – both have a list of exemplary walkers, imaginary walking societies, a handbook of tactics, a manifesto, etc. – but let’s take that that as a positive, if somewhat simplistic, echo.